Jessie Junghwa Lee received her Bachelor of Music degree from McGill University, and her Master of Music degree from Université de Montréal. She has extensive performance experience as a soloist, chamber musician and accompanist, appearing on stages in South Korea, Canada, USA, Germany and Madagascar. Her principal teachers were Marina Mdivani (a pupil of Emil Gilels) and Jean Saulnier. Jessie also had the privilege of working with renowned pedagogues such as André Laplante, Anton Kuerti, Julian Martin, and Marc Durand. Mrs. Lee has over a decade of teaching experience, working with students ranging from age 4-60. She recently taught at the Anglican Music Institute in Madagascar for 2 years before moving to Toronto in the summer of 2016. In Madagascar, Mrs. Lee served as the Children’s Music School Director, teaching piano and theory, accompanying singers and choirs, and was responsible for designing the entire children’s music curriculum. Jessie is passionate about sharing her love for music and knowledge of piano playing with children. She gives each student her utmost care and attention, and delights in watching them grow into fine musicians and noble human beings. 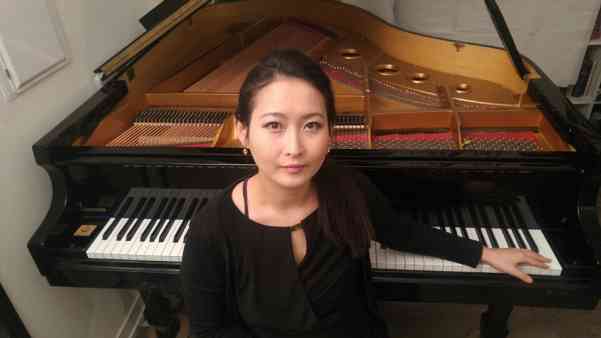 Jessie Lee is currently accepting students to her new Suzuki piano studio in Bathurst/Steeles.